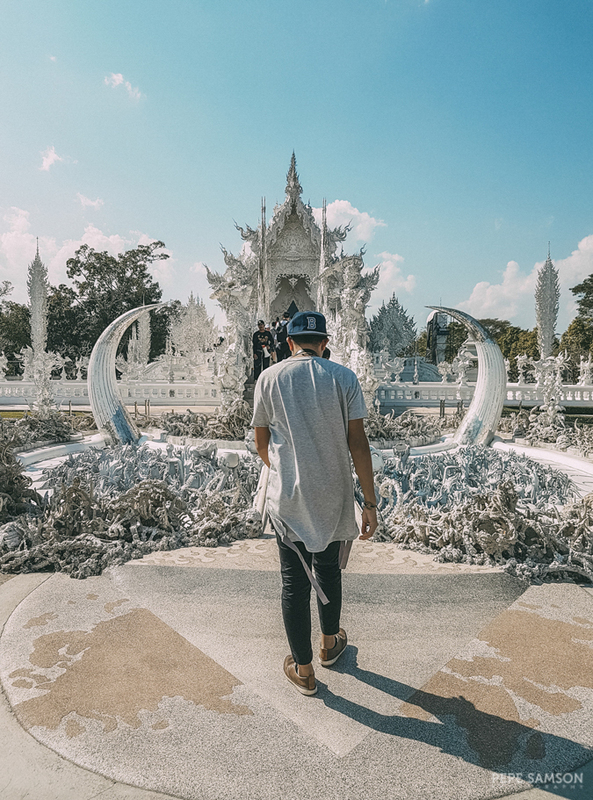 The Wat Rong Khun—more commonly known as the White Temple—was the reason why we travelled all the way from Bangkok to Chiang Rai, in spite of our limited travel time around 3 countries. We’ve seen many photos of it on Instagram and in the web—and, truth be told, even those who had no photography skills at all would have found it hard to produce a bad picture of it. 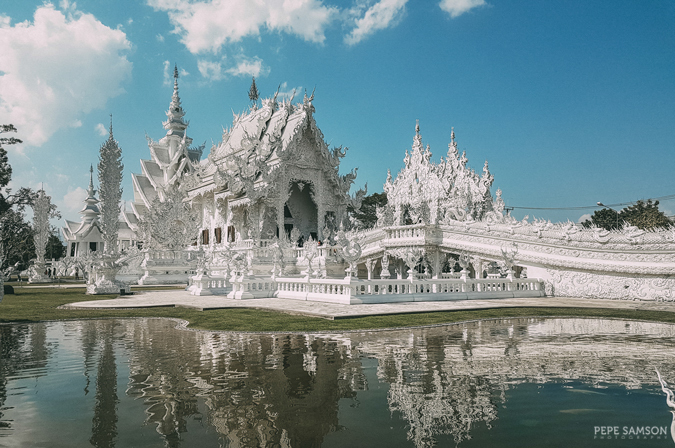 The White Temple is simply stunning—perhaps the most whimsical temple I’ve seen to date—and even those who were experiencing temple fatigue after spending days in Thailand and neighboring Cambodia would find this architectural wonder a relief, an intermezzo. 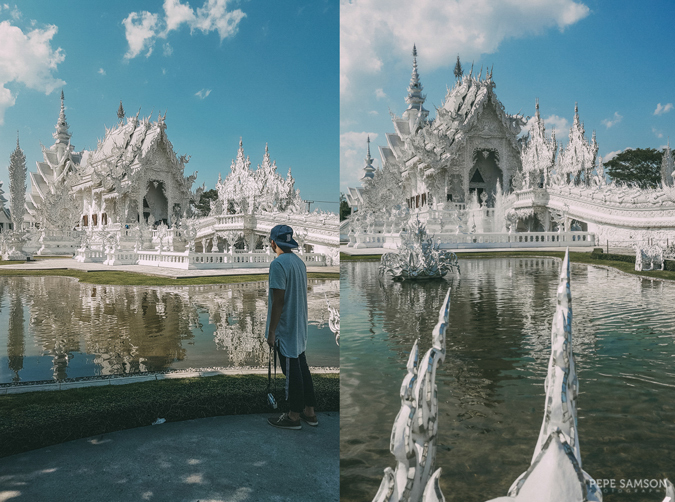 Situated 15 kilometers southwest of Chiang Rai’s main town, the White Temple is a unique structure designed by Chalermchai Kositpipat, a well-known Thai artist. 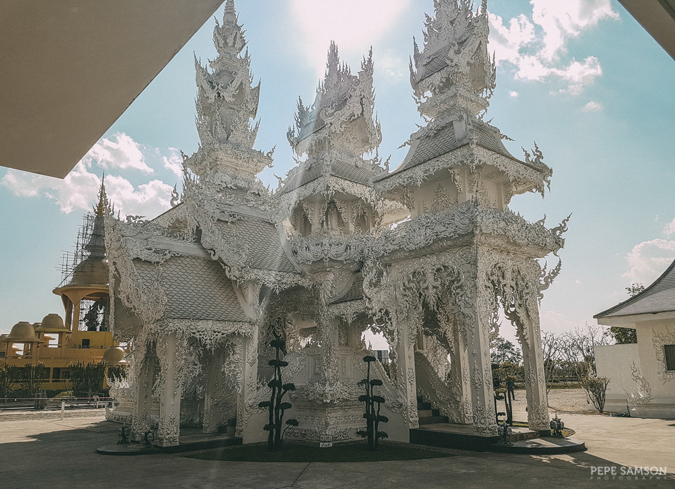 It is, as the name suggests, entirely white, with pieces of glass adorning the plaster coating, making the temple glisten under the sunlight. It was hypnotic and amazing at the same time. 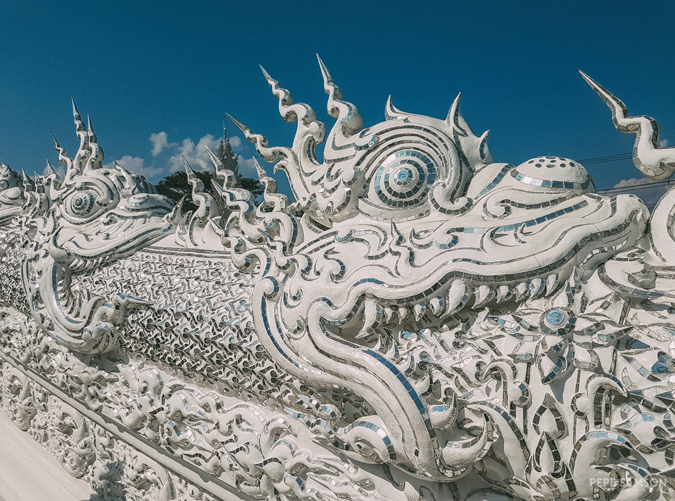 For travelers visiting Thailand, the White Temple of Chiang Rai is a must-see. It’s a man-made marvel you have to see once in your life. From Bangkok: The fastest way is to take the plane. 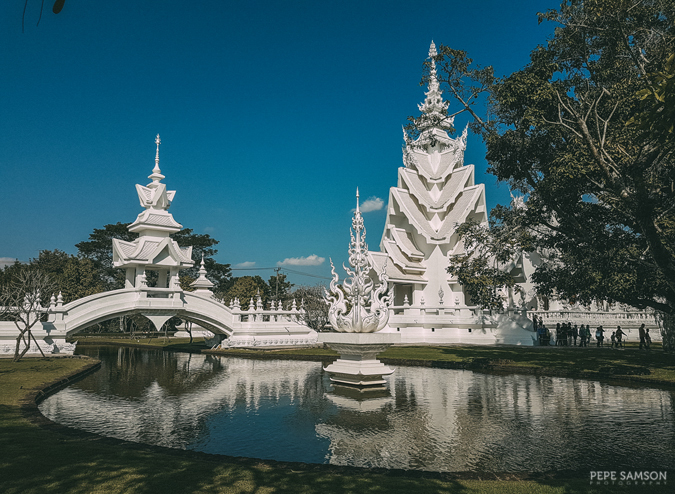 Air Asia flies directly from Bangkok (Don Mueang International Airport) to Chiang Rai (Chiang Rai International Airport)—travel time is 1.5 hours. 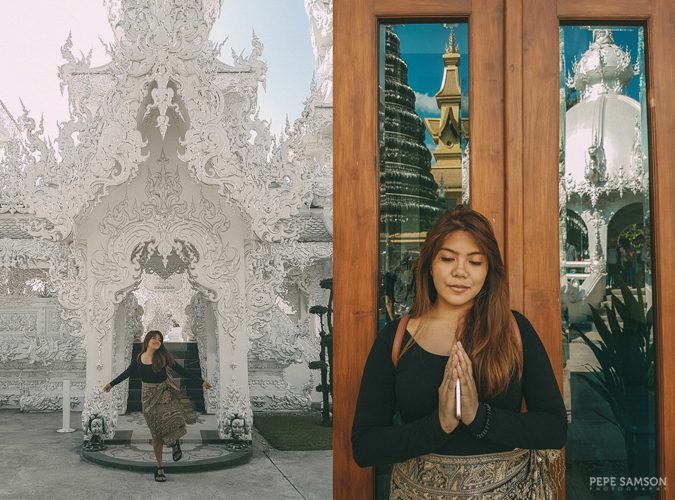 Last February, we were able to book a one-way flight for 1,600THB ($48.25/PhP2,474). Surely you can find cheaper flights than this, as we purchased at the last minute. 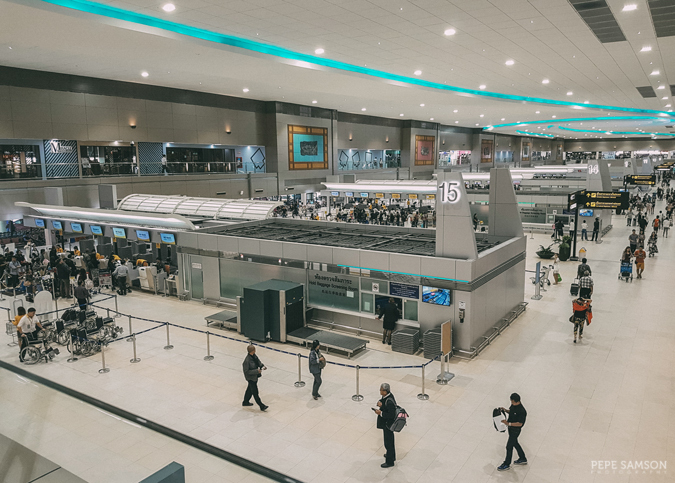 From Manila, we landed at Suvarnabhumi International Airport in Bangkok and from there, took the free shuttle to Don Mueang Airport. Take note that the shuttle operates only from 5:00AM to 12:00AM. Your alternatives are the train and the bus, which would take you around 15 hours and 12 hours respectively. 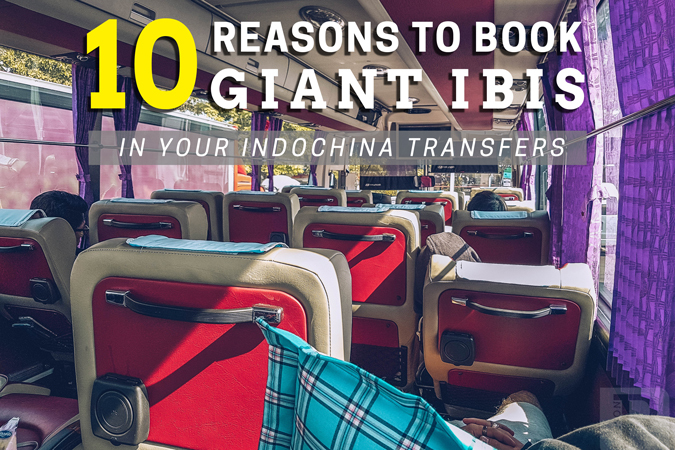 However, they wouldn’t take you directly to Chiang Rai—instead, you will stop over at Chiang Mai. The bright side of these options is that you can enjoy the scenery as you travel to the north of Thailand. However, since we had limited time, we figured we could do this next time. For more information on train and bus options, see this article. From Chiang Mai: Green Bus is the only transport company that goes this route. Travel time is about 3.5 hours and tickets cost 166THB ($5/PhP257) each. As far as I know, they don’t have an online booking site, so it’s best to check out the bus schedules here. 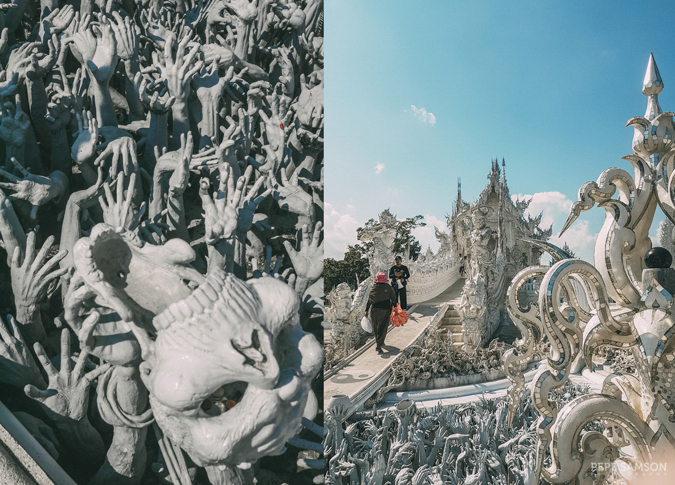 The easiest way to get to Wat Rong Khun is to book a private taxi, which costs around 300THB ($9/PhP464). 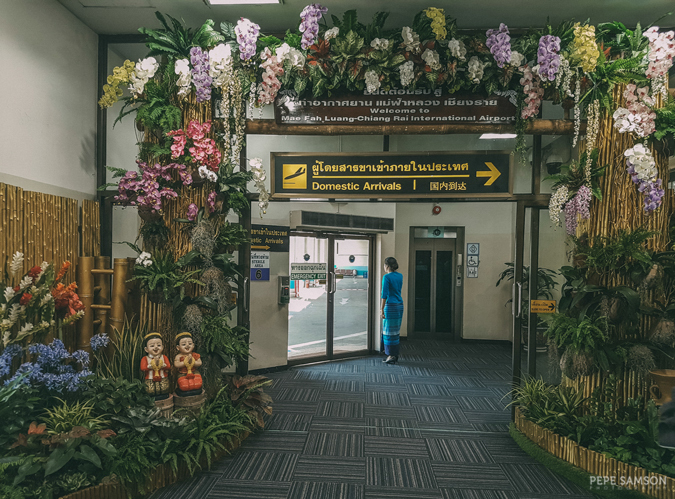 We got one from the Chiang Rai International Airport, since we flew from Bangkok to Chiang Rai to save time (check out our full Indochina itinerary here). Since there are 3 of us, it only cost us 100THB each ($3/PhP155). Generally, cab drivers would ask you how many persons will be riding before they tell you the price. If you are coming from the main town, based on my research, it would be around the same cost. The bus fare is much cheaper at 20THB ($0.60/PhP31) per head one-way; if you are coming from the main town, this is a more economical option. However, since we were going there from the airport, we didn’t take this route as the taxi driver priced the trip from airport to downtown at 200THB, which would cost us 87THB ($2.60/PhP135) each. We figured that the 13THB ($0.40/PhP20) savings weren’t worth the hassle. 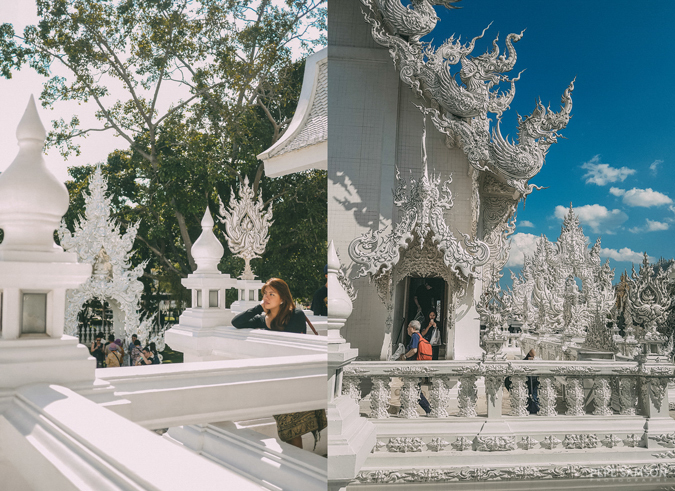 Admission to the White Temple comes with a minimal fee of 50THB ($1.50/PhP77) per head. This amount is not bad at all—especially since it helps with the temple complex’s expansion and preservation. 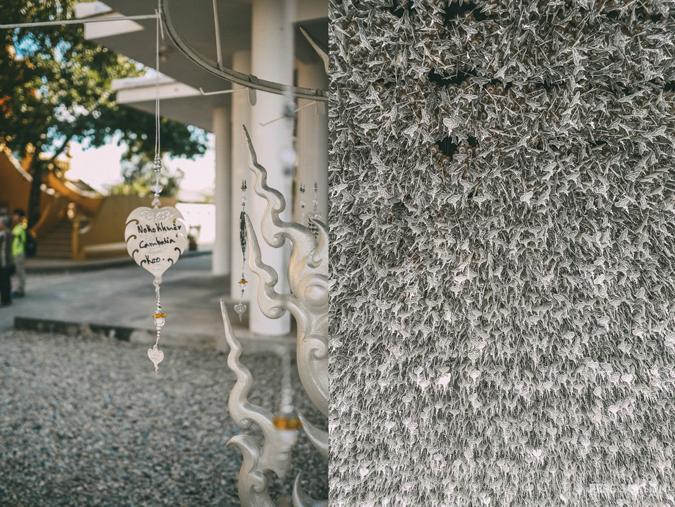 Inside, you can purchase metal trinkets for 60THB ($1.80/PhP93) where you can write your prayers and wishes, and which you can hang on various sections of the premises. 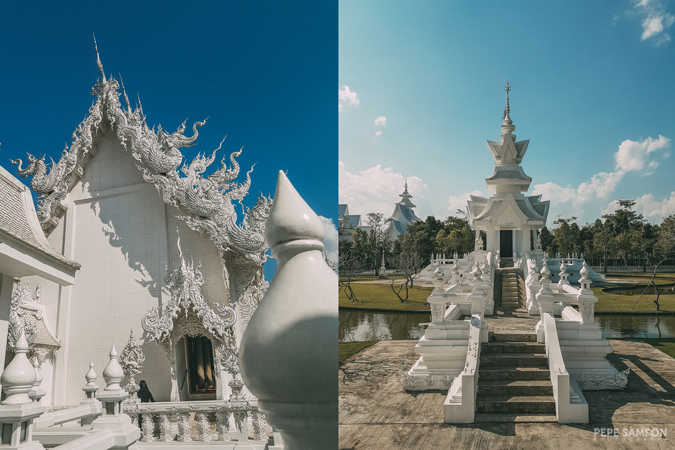 Other than these two (the second one even optional) plus some snacks (there's an arcade mall in front of the temple), you don’t need to spend or bring too much money for seeing the White Temple. 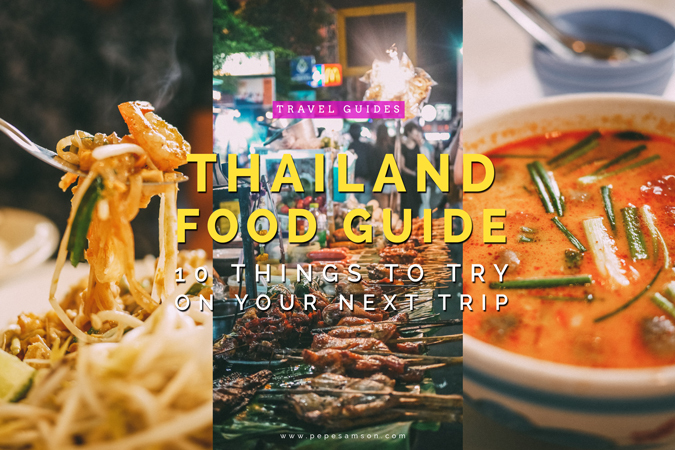 There are many reasons to visit Thailand, and the food is one of them. 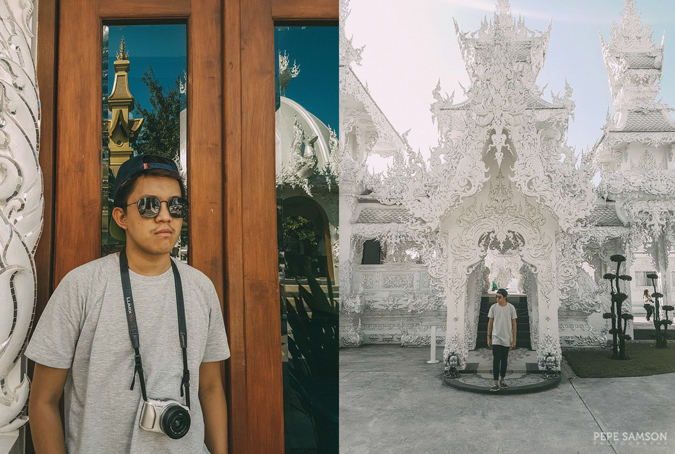 If you're planning to explore more of Chiang Rai other than the White Temple and to go further north to Pai or neighboring Laos, it's best to stay for a day or two. 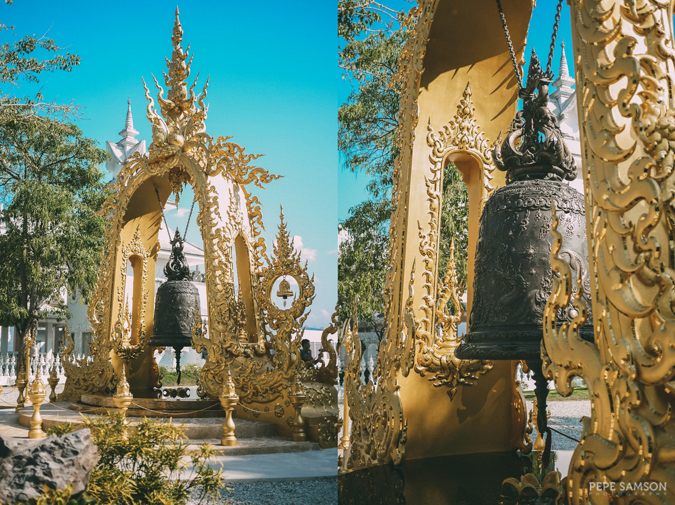 Check out the hotel rates at Chiang Rai here, or browse through other activities you can do below. 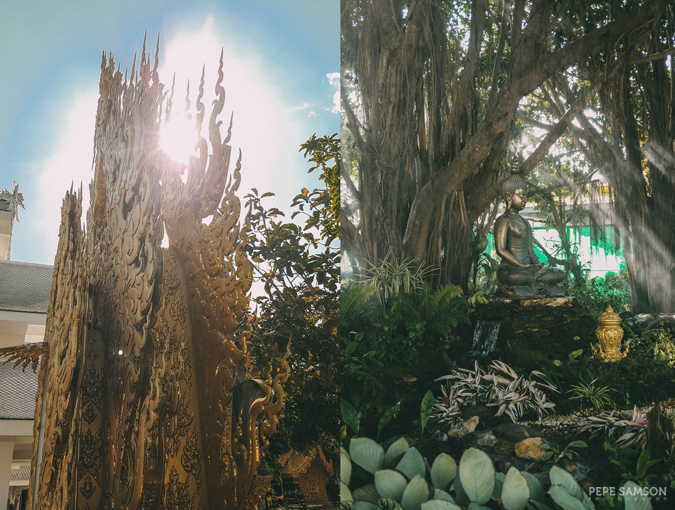 • The temple is open from 8:00AM to 6:00PM. • Although a lot of travelers don’t seem to care about the dress code, refrain from wearing sleeveless shirts (men) and shorts (women). To be sure, just bring a light scarf or whatever you can use to wrap around yourself. • It’s good to wear comfortable, easy-to-take-off shoes—they are not allowed inside the main temple. 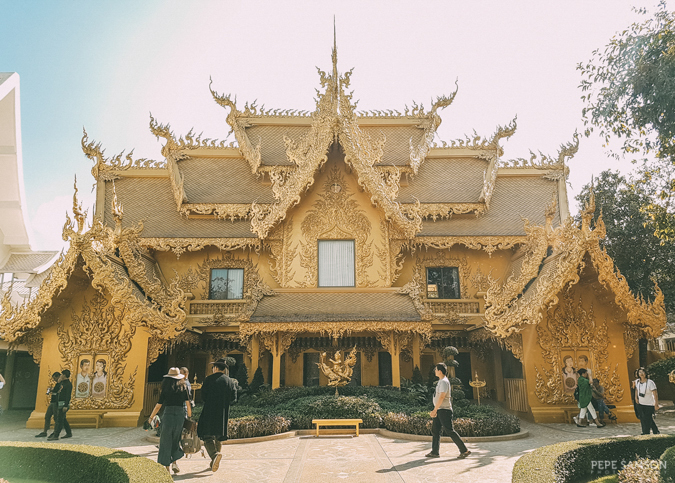 • Guests are not allowed to take photos inside the main temple. 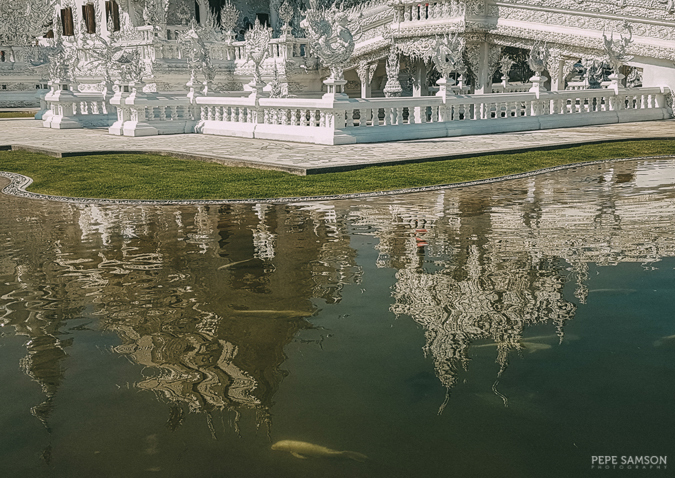 Even from afar, you can’t help but be astonished at the unique appearance of the White Temple. 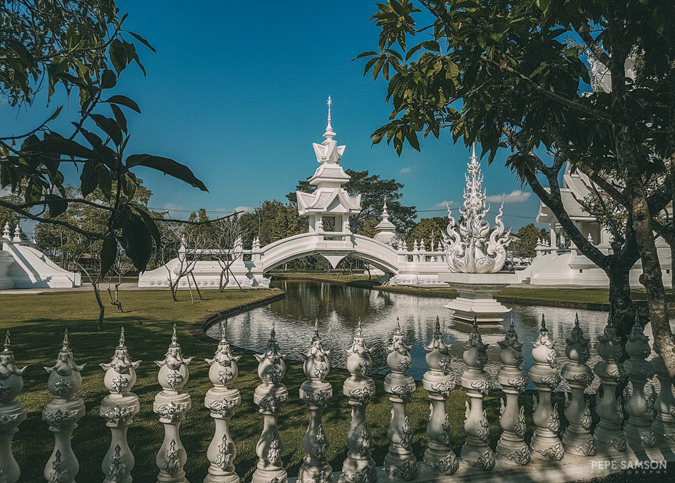 It simply stands out—a blinding white structure set on a bed of green, with a little pool reflecting its ornate façade. The main entry way resembles a pair of mammoth tusks, beyond which is a bridge leading to the main hall. This bridge is flanked by two seas of skulls and creepy hands reaching out to whoever passes through. And while the details are intricate, all of them also have symbolisms. The color white itself signifies the Buddha’s purity, and the glass, wisdom. The bridge symbolizes man’s struggle to get past hell; the hands stand for greed and desire; and the gate to the main hall is the gate of heaven—reached only after suffering. This is the artist’s interpretation of nirvana. Inside, you will find intriguing representations involving modern characters like Superman and Star Wars—all bearing hidden meanings. It won’t take you more than 15 minutes to check out what’s inside the main hall, and once you get out, there’s so much more to see. Right behind the main hall is another white structure. On one side, there’s a covered walkway whose ceiling is studded with prayer trinkets. Towering, Christmas tree-like installations also hold similar artifacts. 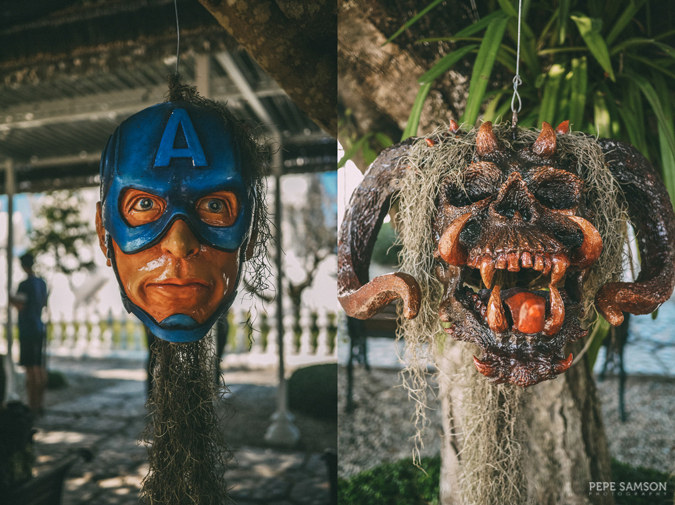 All around the premises are more modern, creepy symbolisms like beheaded superheroes. There’s a golden bell tower somewhere, and a monk quarters hidden away from the crowd. 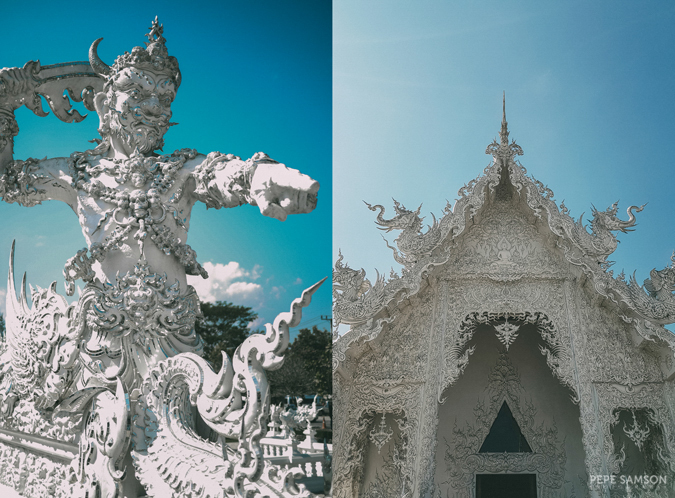 A short walk away, there’s another white piece of art which seemed to me like a miniature of the main temple; there were no tourists here when we arrived, so we took the opportunity to take photos. Just before we went out, I saw a glimmering golden building—which turns out to be the public restroom! 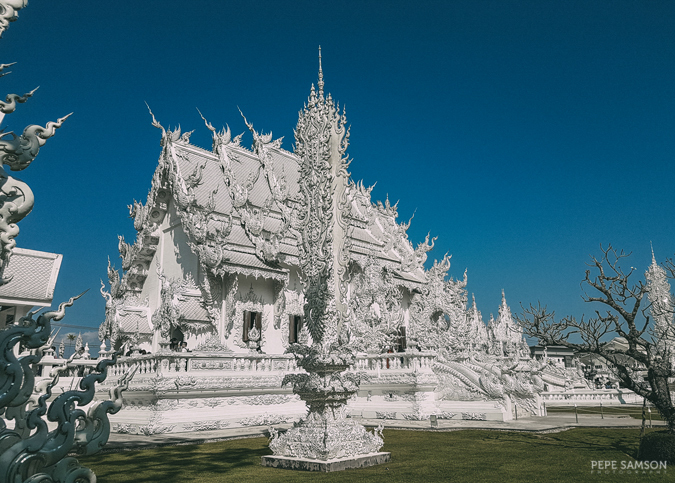 Whether you’re an art aficionado, a photography enthusiast, a culture junkie, or simply a traveler seeking to learn more about Buddhism and Thailand, the Wat Rong Khun or White Temple is a must-visit. • Book your train to Chiang Mai here, then check bus schedules from Chiang Mai to Chaing Rai here. 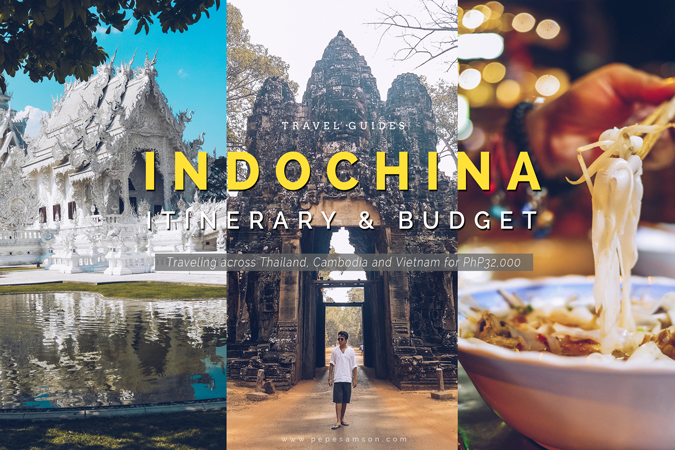 • Or, book your flight from Bangkok to Chaing Rai here. • Check affordable Chaing Rai hotels here. 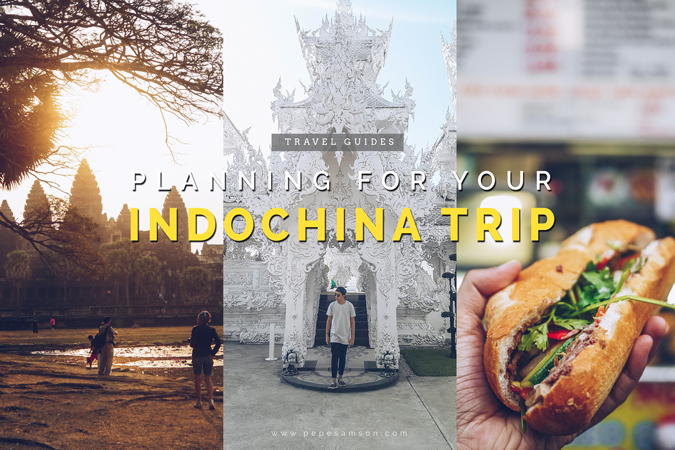 • Check out other tours near Chaing Rai here. Have you been to Thailand? 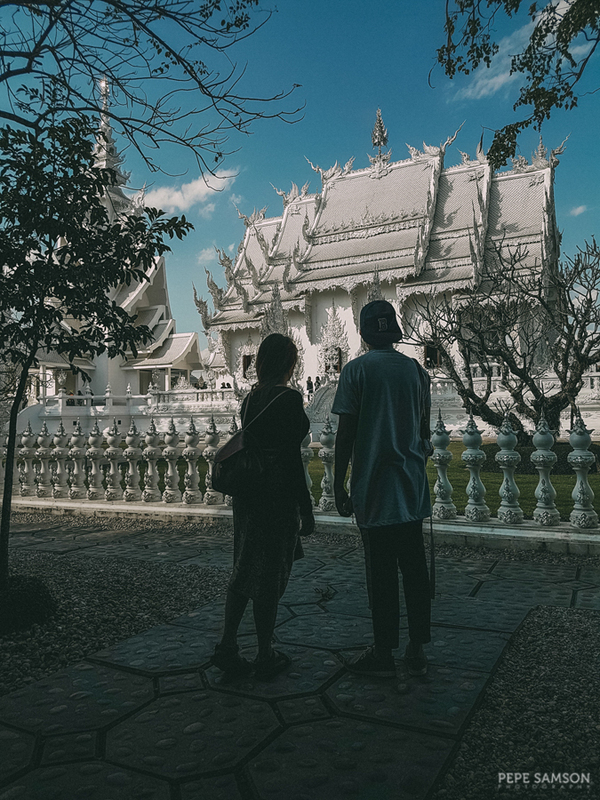 What is your favorite Thai destination? 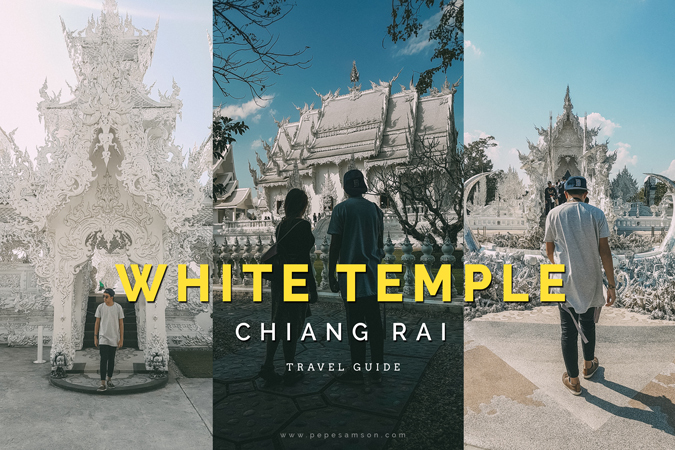 What do you think of White Temple Chiang Rai?